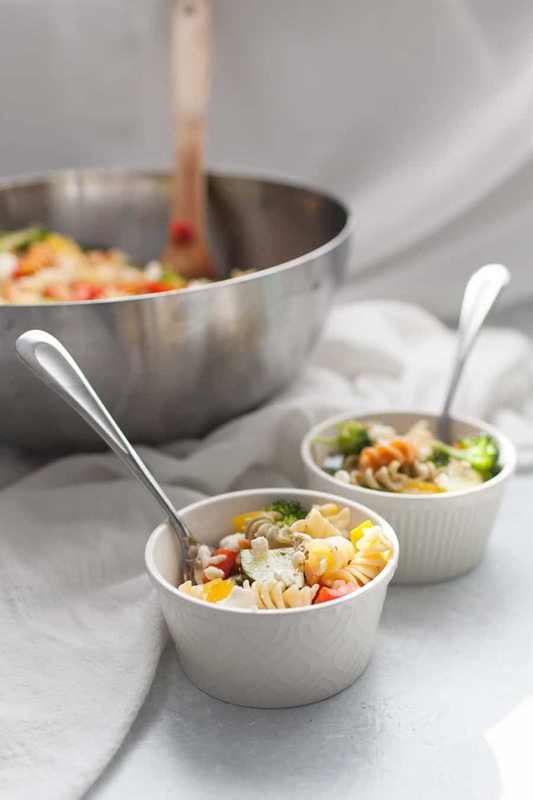 Veggie packed pasta salad is a perfect side dish for any occasion. It’s great for the warmer weather for potlucks outside and perfect for brightening the colder months, too! 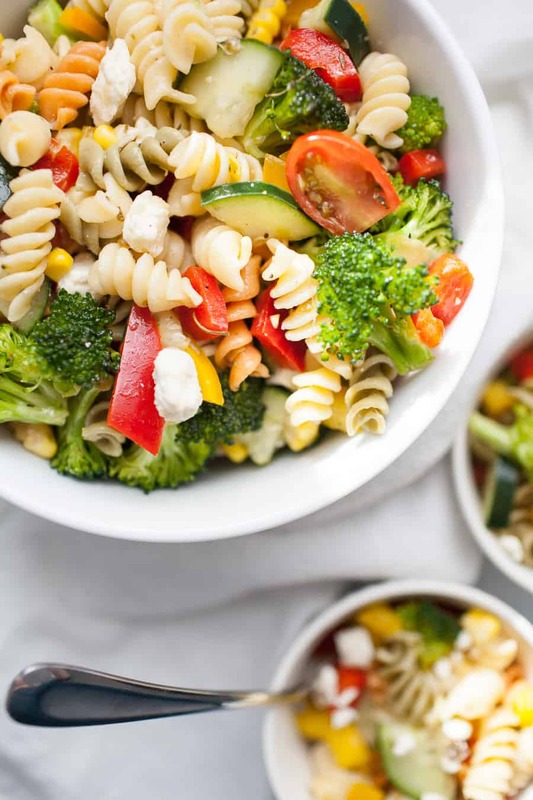 The pasta salad is made with a mayo-free dressing and packed with vegetables like cucumbers, bell peppers, tomatoes, corn and topped with feta cheese. Anytime certain foods come up in conversation, I feel like I’m in a confessional when I admit I don’t like them. As a food blogger and someone who loves food in general, I feel like I have a responsibility to like all the foods. 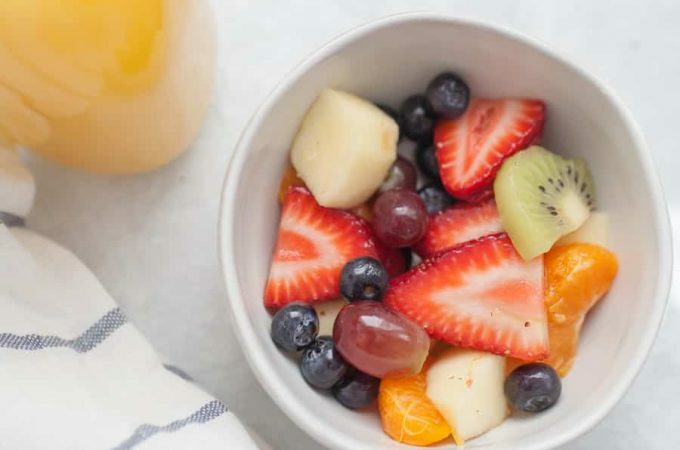 I’ve grown up a lot in my tastes and have really learned to love a lot of different kinds of foods (my mom still can’t believe I eat scrambled eggs every morning now). But there are some I just cannot. Pickles, olives and mayonnaise are three of those things I don’t think I will ever like. And I don’t have a huge desire to, either. That means during the summer, I don’t get to experience things like chicken salad, potato salad or pasta salad at summer barbecues. After Camden was born, a friend of ours brought over pasta salad. When she first told me that I was going through my head trying to figure out what I would be able to eat instead. But then she told me the dressing wasn’t mayonnaise based. Hallelujah! 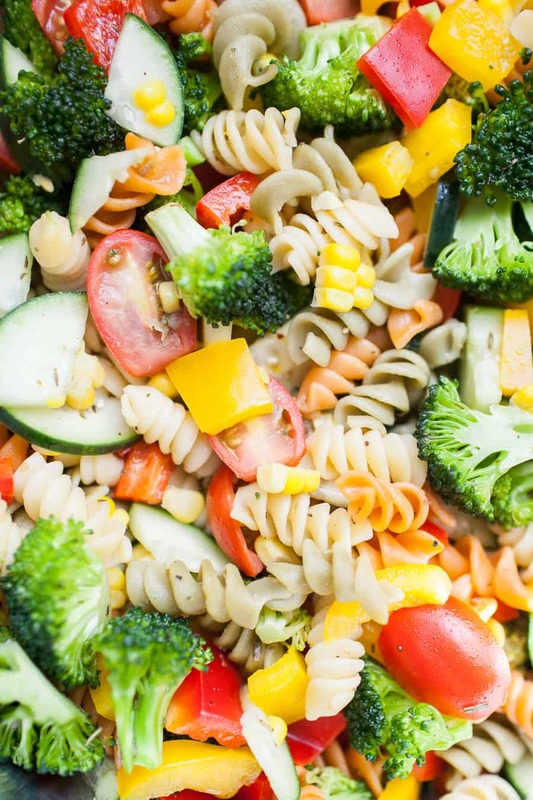 I love this pasta salad recipe because it’s packed with fresh veggies, which I think is more important than the actual pasta itself. Because the veggies are all raw, it adds a lovely crunch factor to the pasta salad. It’s funny to my how many variations of pasta salad there are, some with mayo, some with protein added, some with veggies. I think pasta salad may be one of those dishes that can become the “everything but the kitchen sink” kind of meal where you just throw everything you have in and have it be a little different every time. Because this recipe has pasta salad dressing without mayo, this dressing is the real star of the show. I love how simple it is to make your own dressings! Basically you need an oil and a vinegar of some kind plus lots of spices! In this case, you can use red or white wine vinegar and olive oil as the base to the dressing. The last note I have is that if you don’t want to make this pasta salad dairy free, you can easily omit the feta cheese. Ready to make your own? 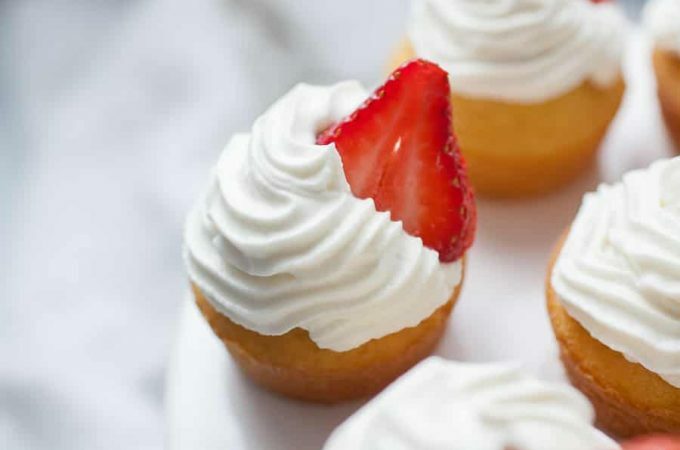 Scroll down for the recipe! What should I serve this Pasta Salad Without Mayo with? 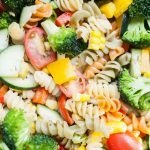 Pasta salad goes well with so many dishes! Try it with with Pan Seared Chicken Thighs, Cilantro Lime Grilled Chicken or Sweet Potato Turkey Burgers if you’re hosting a barbecue. It pairs perfectly with No Mayo Potato Salad, too! 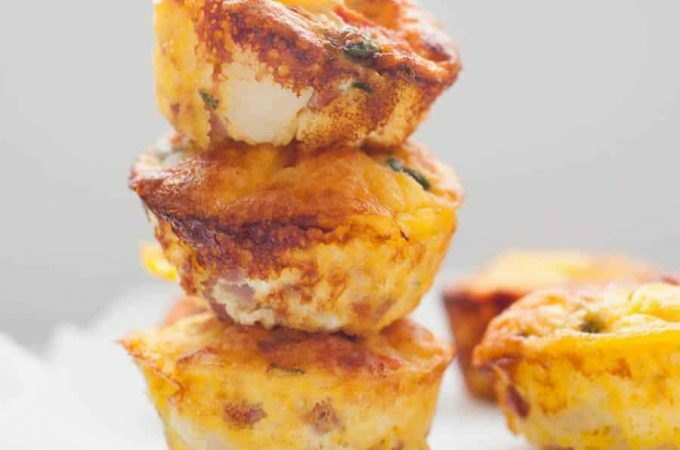 As always, if you make this recipe or you’re thinking about it I would LOVE for you to leave a comment and rating below! 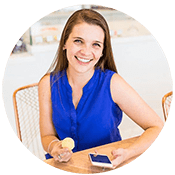 This helps me know which recipes y’all love, so I can create more of those types of recipes to share with you! Cook pasta according to package directions. Drain once cooked and set aside. In a mason jar, add ingredients for dressing. Shake to combine ingredients. 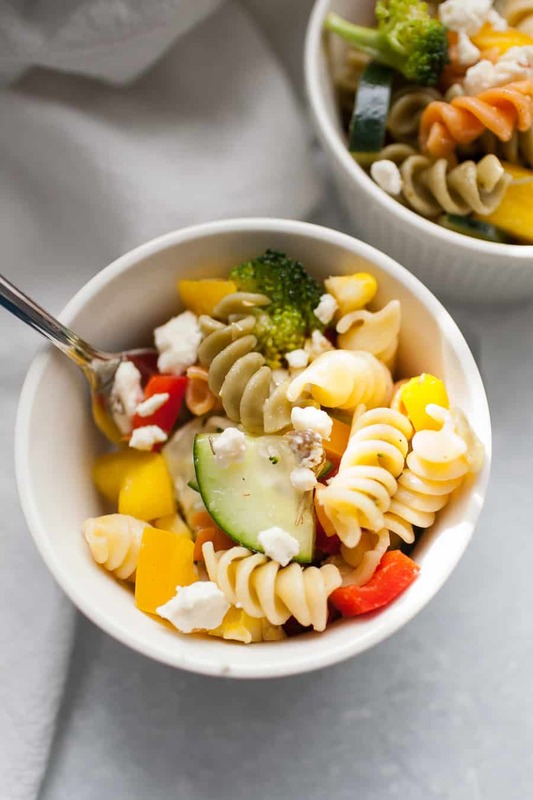 In an extra large bowl, stir together pasta, vegetables and feta. Cover with dressing and toss once more. 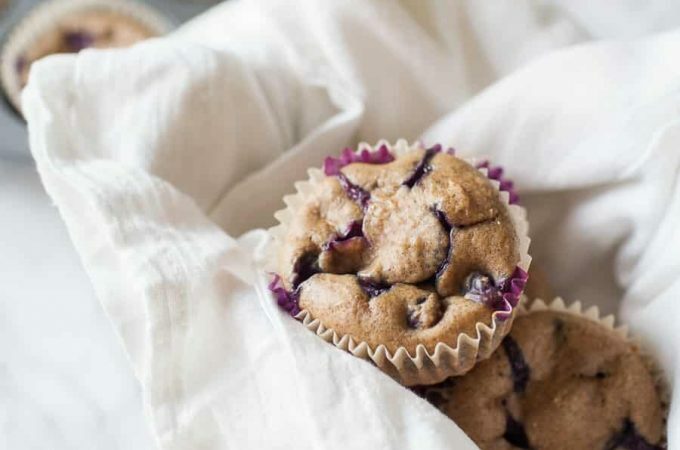 Refrigerate at least 30 minutes. Serve chilled. Oh man. I HATE mayo too. I cannot eat most of the condiments, so this works perfect for me. I’d only, probably use the whole wheat pasta. I love how the crispy, fresh veggies’ texture clashes with the soft cooked pasta texture.